One of the greatest beverages ever created by man is beer. This drink does two things amazingly, tastes great and makes people feel great. Now you can finally enjoy a beer while looking like a beer! This would also make a great couples costume! Get the men’s costume on Amazon here. 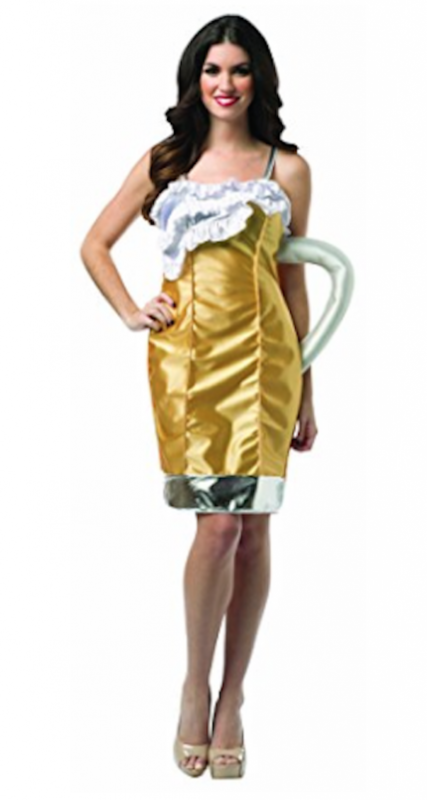 Get the woman’s costume on Amazon here. 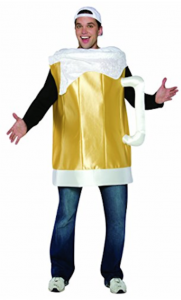 Want to create your own beer costume? 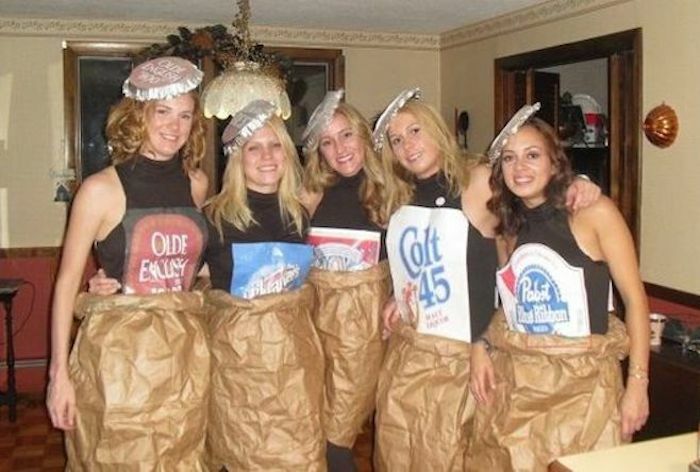 These ladies dressed up as their favourite beer bottles. Not satisfied with being just one pint? Be the whole keg! 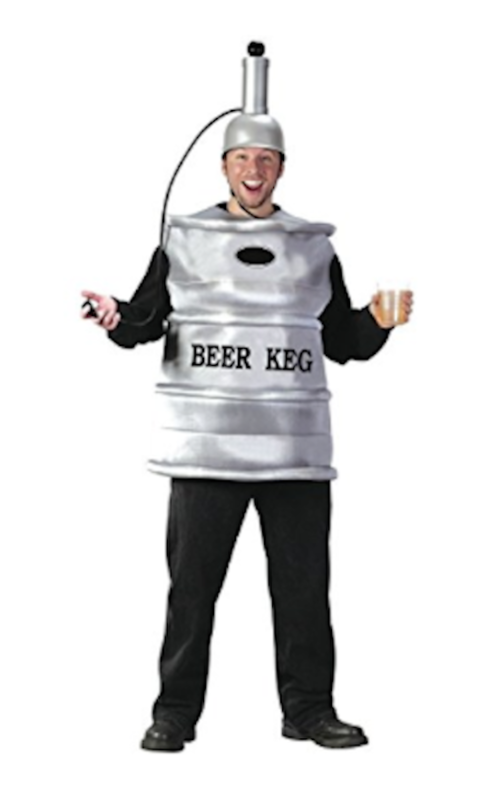 This costume includes the cloth keg body cover and the helmet with pump and cap piece. The helmet holds 400ml of beer and the handheld dispenser allows easy sharing. There is always a Batman, a Superman, and a Spider-man at every Halloween party. 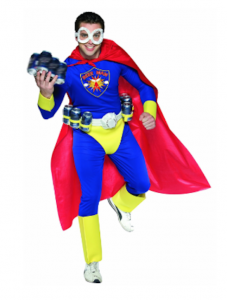 Be the real hero of the party and dress up as Beer-man! We think this costume would look better DIY’d but if you’re not the creative type you can buy a Beer-man costume on Amazon here. This costume may be more enjoyable for the people around you but you’re bound to be the life of the party! 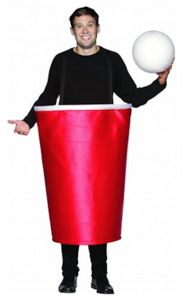 This costumes comes with 14 attachable cups to set up however you and your friends like. All you have to do is lay on the ground and let the games begin. Don’t know how to play Beer Pong? Click here! This costume is easy to DIY. Attach straps to scrap wood and wear it like a backwards backpack. Add velcro strips to the board and solo cups and you’ve turned yourself into a game of beer pong. 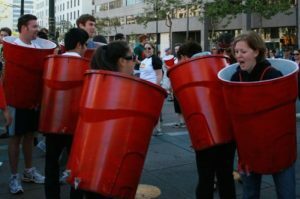 Instead of being the entire table, you can also dress up as just a cup! Create mini games by challenging people to get the ball in your cup while you try to dodge. Loser owes the winner a beer. 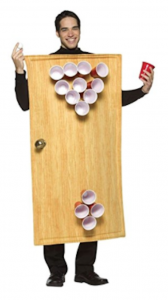 Get this beer pong cup costume on Amazon here. 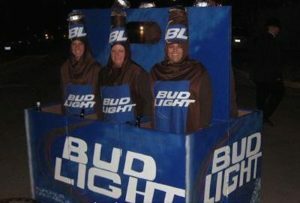 This would make an awesome group costume for you and your buddies. These guys have the right idea! Okay, this takes some serious DIY-ing skills but how awesome is the outcome!? This crew made the beer box out of wood and covered it in cardboard. You could paint this to be any case of beer you wanted! This costume is bound to get you and your five friends some free drinks! 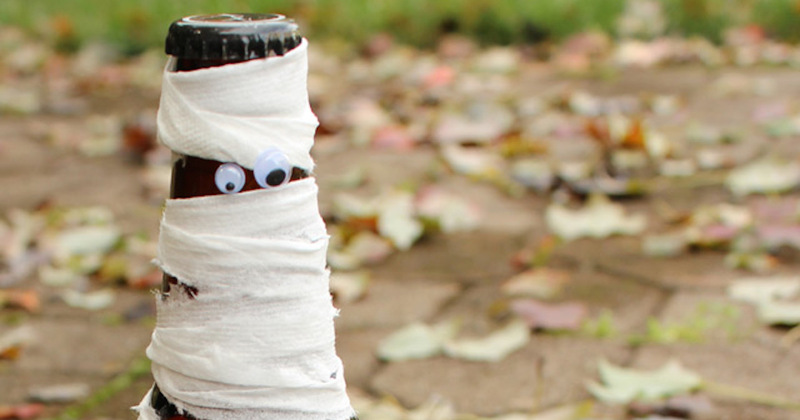 Take a look at our beers page to learn more about the beer you’re dressing up as! You probably can’t fit in to your childhood scout uniform but I bet you can find brown or green shorts and a matching button up shirt at your local thrift store. 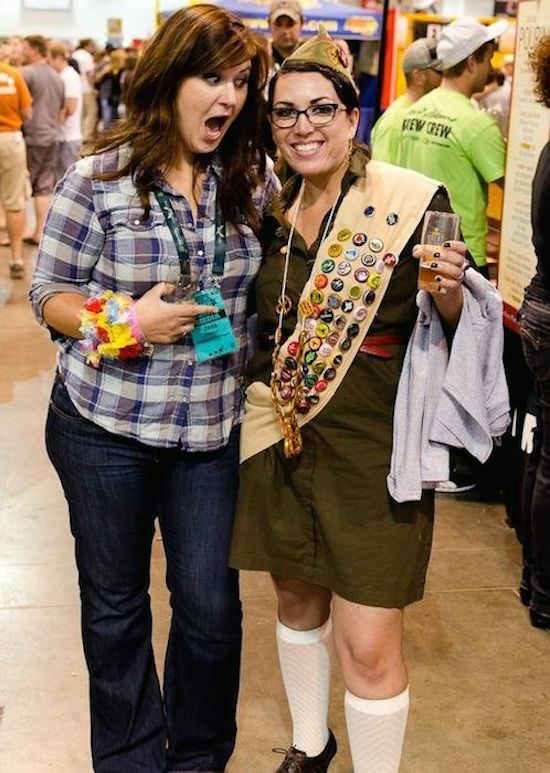 Add your favourite beer bottle caps to a sash and you’ve transformed yourself into a loveable Beer Scout! 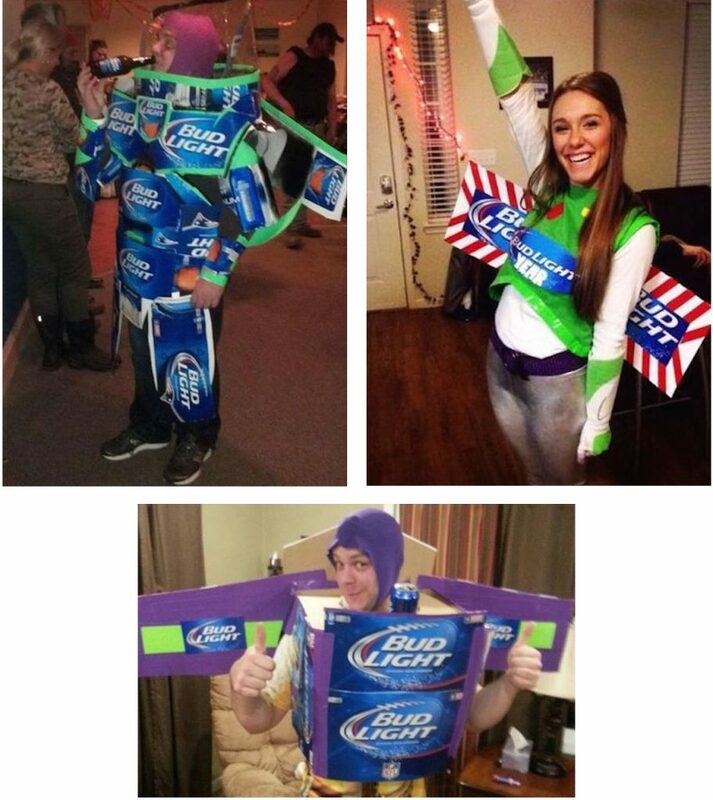 For all you Bud Light drinkers out there… To intoxicity and beyond! I have no words for how awesome this Halloween costume is. Here are some of our favourites. 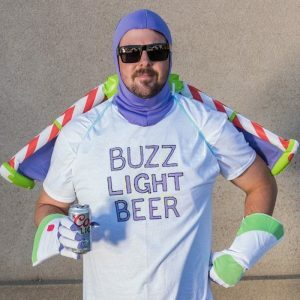 Or switch it up and be “Buzz Light Beer”. 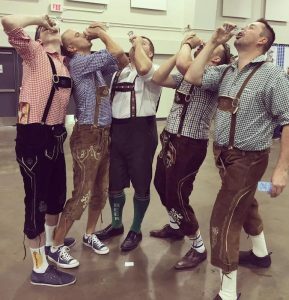 Do you still have your Lederhosen or Dirndl from Oktoberfest? You can totally rock these on Halloween. Amazon has a large selection of fun Dirndls and Lederhosen. Ladies, find the perfect Dirndl here. Men, find your Lederhosen here. Costumes aren’t your thing? Not allowed to wear a costume to work? 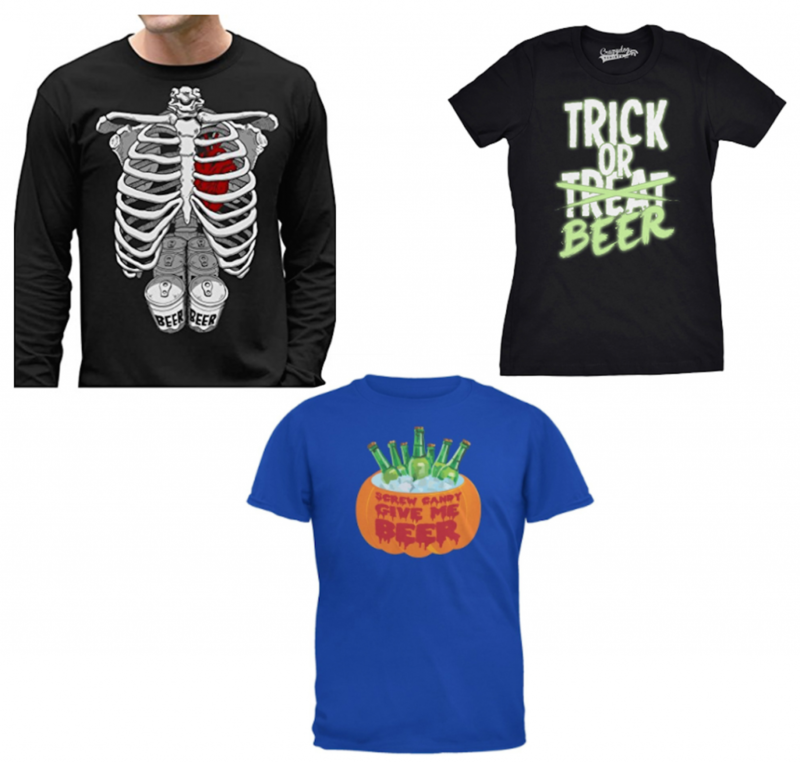 Show your Halloween spirit through a graphic tee! Amazon has tons to choose from or these shirts are totally DIY-able. All you need is some fabric paint and a bit of artistic ability. Here’s a look at some of our favourites. Regardless of what you dress up as this Halloween, as long as you have a cold beer in your hand you’re bound to have a good time. Hoppy Halloween from JustBeer!